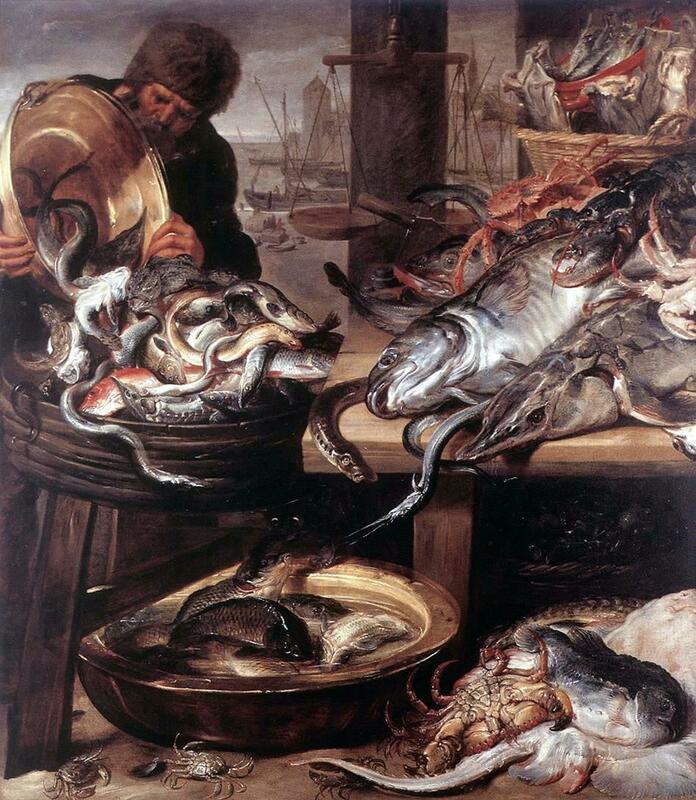 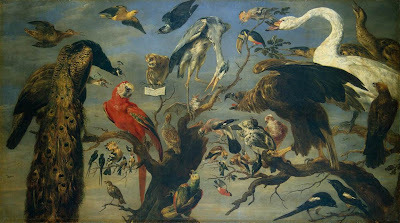 Frans Snyders (1579-1657) ,pintor flamenco. 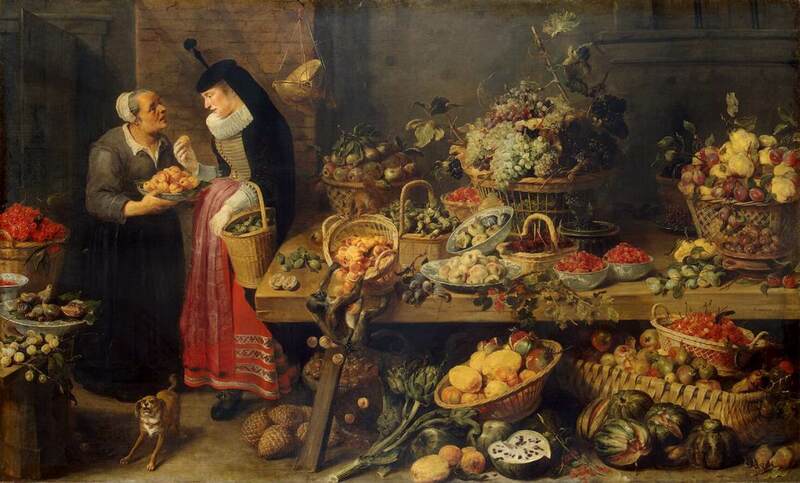 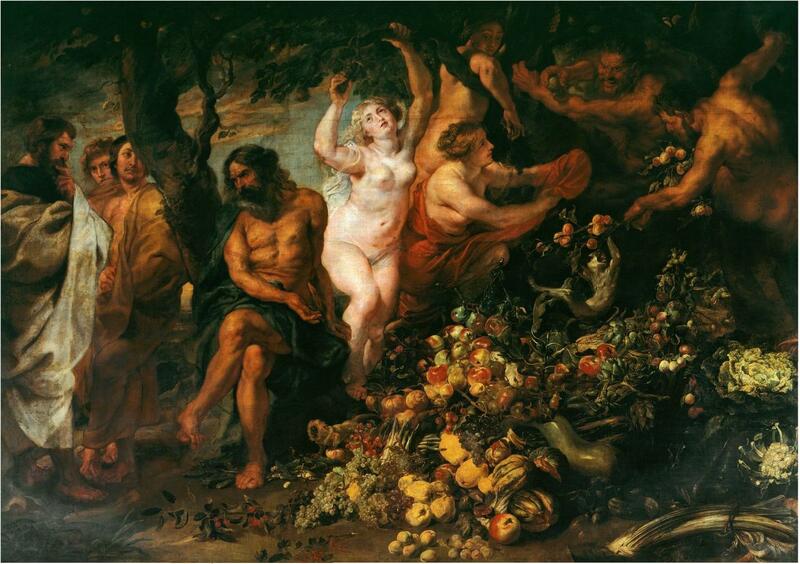 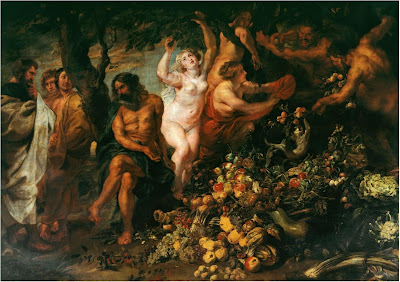 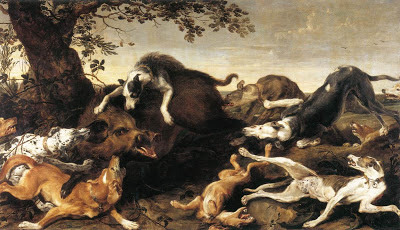 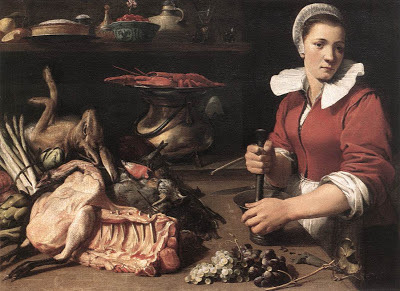 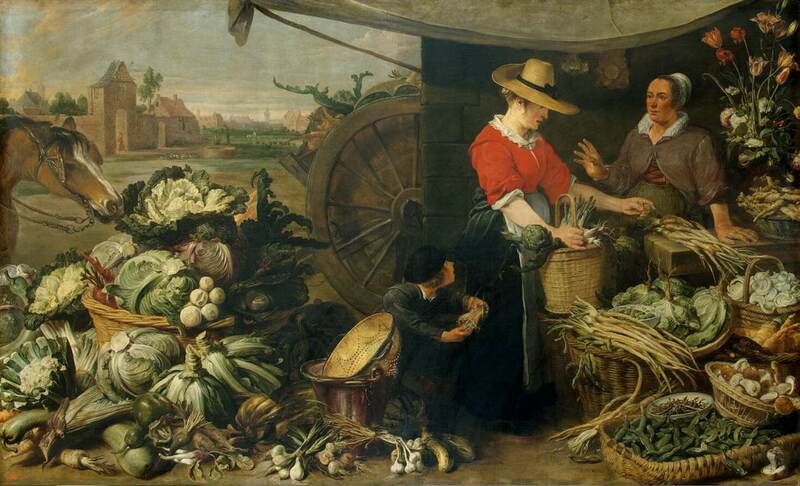 Pythagoras advocating vegetarianism (With Rubens).1618-20. 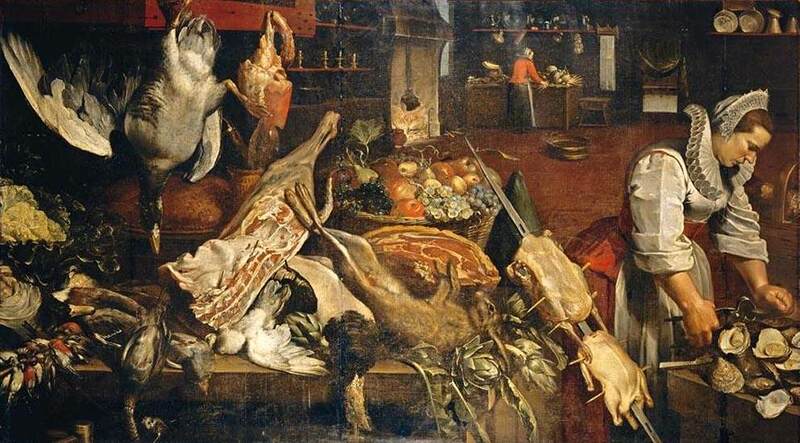 Still Life with a Wine Cooler.1610-20. 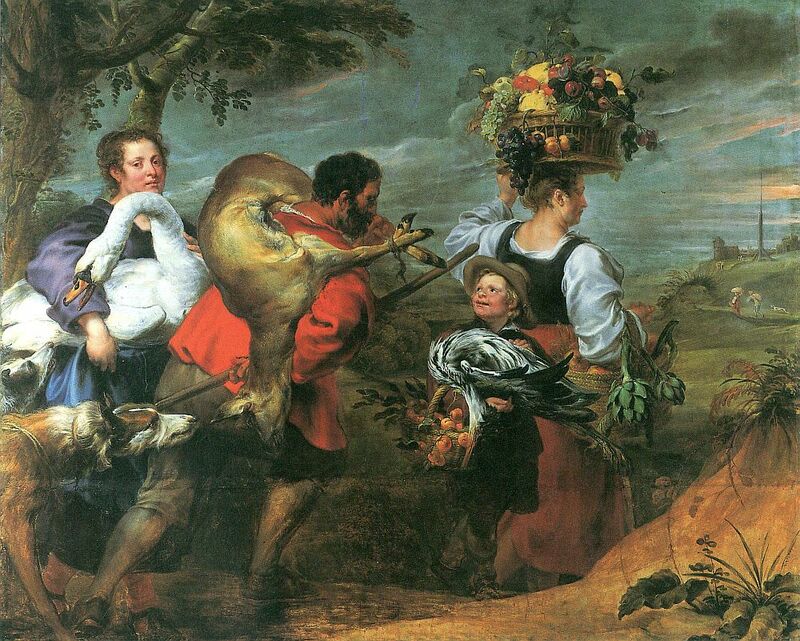 Peasants on the Way to the Market.1630-40. 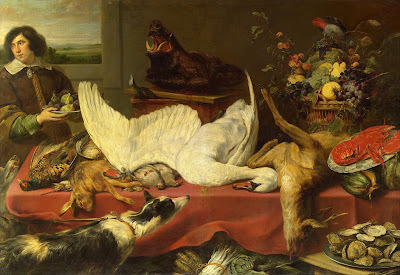 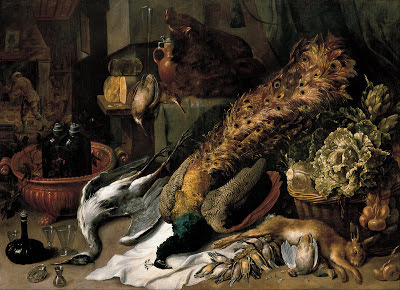 Still life with a Swan.1640s. 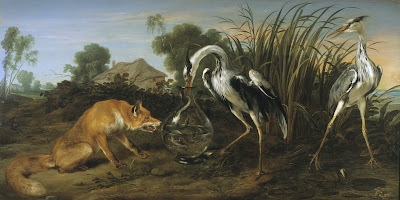 Fable of the Fox and the Heron. 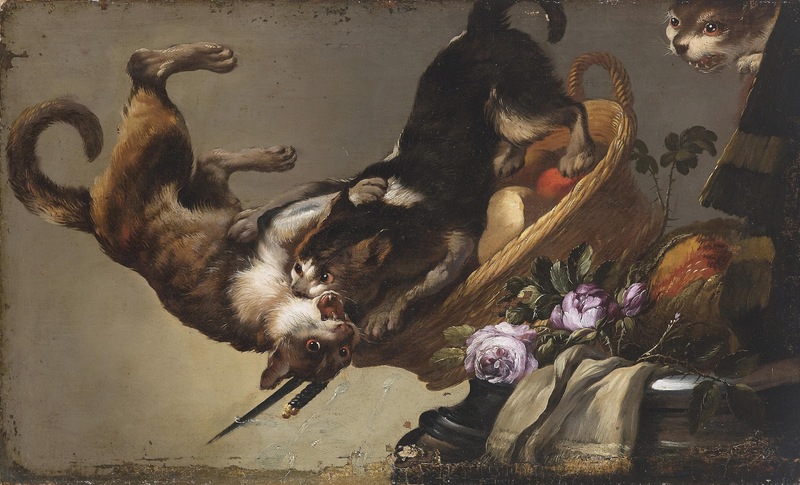 Still Life with fighting cats.